MEN: Top 50 BMT Finish in 2016, 2017 or 2018. See cut-off times below. WOMEN: Top 35 BMT Finish in 2016, 2017 or 2018. See cut-off times below. Top 100 in current USSA distance points list. Top 100 American Birkebeiner in 2016, 2017 or 2018. Top 25 in other American Ski Marathon race in 2016, 2017 or 2018. The Elite Seeds are strictly limited to men and women who qualify under these rules. Upon registering, racers must indicate they are applying for the Elite waves. Seeding is based on previous finish results ONLY, not previous start positions. Final determination for the Elite Seeds lies with the Race Secretary and seeding jury. Lane assignments will be made on the Friday before the race. Bib numbers match assigned lane numbers. Upon registering, you will be given the opportunity to submit past race information. Racers are assigned to waves based on previous race results submitted, not previous start positions. 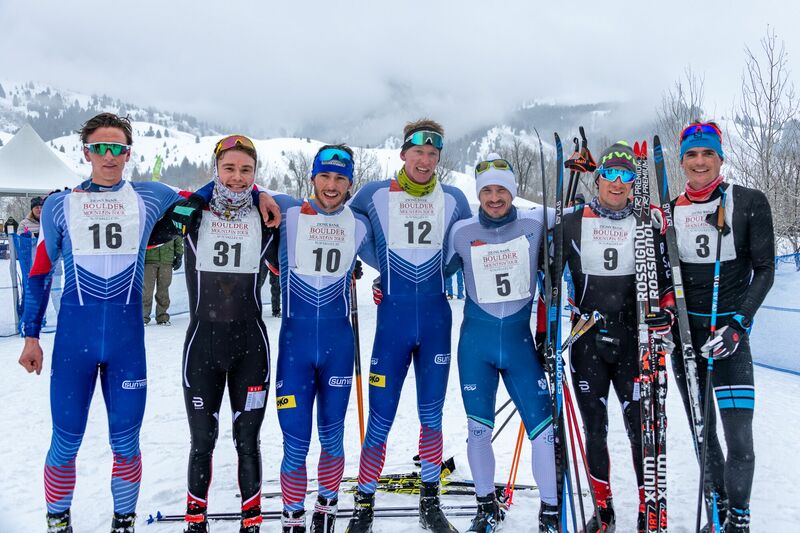 Recent BMT results are considered first, but comparable marathon distance races completed in 2016, 2017 or 2018 are also accepted, such as, American Birkebeiner, Yellowstone Rendezvous, McCall Re-Mastered, or any results from an American Ski Marathon (ASM) race as well. Please be honest! Wave assignments alleviate congestion on the course and give all skiers an opportunity to ski their best race. Entrants with little or no prior race experience will be seeded in wave 7. In 2019, there will also be a non-timed “Ninth Wave” for participants who want to embrace the “Tour” aspect of the event.